The rent at Wimbledon Apartments ranges from $920 for a one bedroom to a $1,233 two bedroom. Apartments in this building are about 14% less expensive than the Lewisville average. This is a pet-friendly apartment. 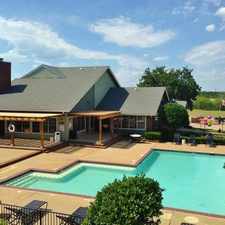 This apartment is in Lewisville. Nearby parks include Grove Park, Oak Park and Timber Creek Park. Wimbledon Apartments has a Walk Score of 75 out of 100. This location is Very Walkable so most errands can be accomplished on foot. Residents love the gorgeous one and two bedroom floor plans available at Wimbledon! These spacious apartments for rent in Lewisville have open layouts with huge living and dining rooms. Each home has a private entrance, which opens to reveal a huge living space as well as an updated kitchen! The residences feature beautiful, custom oak cabinets with contemporary countertops. The hardwood flooring adds a welcoming feel and pairs nicely with the modern lighting. Each home has a spacious patio or balcony with views of the grounds here at Wimbledon and an extra storage closet. Every home has a full-sized laundry room. One bedroom homes are equipped with a stackable washer/dryer and the two bedroom floor plans feature hookups for a full size washer/dryer. Wimbledon offers residents access to an array of on-site amenities. You can get some exercise and maintain your ideal body image any time of day at the fitness facility, which is open twenty-four hours per day. 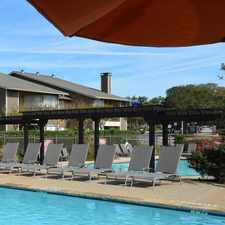 During the warm summer months, residents can find some relief from the heat at the sparkling swimming pool. After a stressful day, you can ease away tension and sore muscles in the steaming spa. The community boasts free poolside Wi-Fi, so you can download a new book, check your social media, and stream music without leaving your lounge chair. The gated community offers a playground, where residents can run, jump and play. The grilling area is the perfect place to hold a cookout with friends and neighbors. 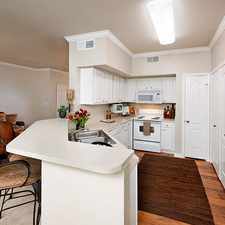 These apartments in Lewisville, TX are in an ideal location close to Interstate 35, Highway 121 and Sam Rayburn Tollway. Residents are a short drive from Vista Ridge Mall, Walmart and Sam’s Club. Lake Lewisville is perfectly placed close by and offers a fun place to beat the summer heat. Wimbledon Apartments is in the city of Lewisville, TX. Lewisville has an average Walk Score of 37 and has 95,290 residents.